For most people winning the lottery equals the end of the financial struggles, but for a couple from Devon it marked the beginning of a string of unfortunate events. 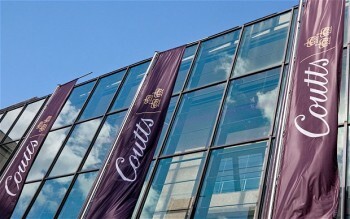 When they won £1,000,000 back in 2001, they took the advice of Coutts to invest £650,000 of the money in bonds. Instead of enjoying a generous return on investment, the couple received only £10,000 per year, less than a quarter of what they were used to spend. Now they are waiting for hundreds of thousands in compensation and a reverse of fortune. It is not uncustomary for lottery winners to follow the advice of financial specialists assigned by banks, and the couple from Devon chose Coutts. They thought that since this is the Queen’s bank it should be the safest choice but they found the results to be deeply unsatisfying. Now that they are making less per year than they used to, they are hoping that the Financial Ombudsman Service with rule in their favor. The service initially dismissed their claims but now that new evidence has surfaced it is not impossible for a change of the verdict. The bank says that the financial crisis in conjunction with the overall bad state of the economy led to these unexpected losses and declined any responsibility. The winners on the other hand feel betrayed and want their example to serve as a warning for other lottery winners who might be tempted to resort to financial counseling offered by Coutts. 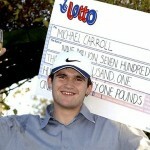 Would lottery winners be better off alone? 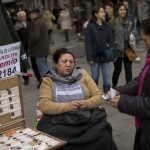 An answer for this question is yet to be found, and cases similar to this one have surfaced in the past, which explains why more lottery players are thinking that they would be better off alone. Camelot says that the vast majority of lottery winners takes advice from banks, despite the fact that they’re not compelled to do so. Managing their newfound wealth can be a daunting task especially for those who have no economical training, as they prefer to have an experienced professional by their side. On the other hand, the financial turmoil and the fact that many investments that used to perform in the past are now worthless, amplifies the lack of confidence that people have towards banks. The lottery operator doesn’t receive any financial compensations for suggesting one bank or the other to lottery winners. Basically everyone is free to decide how to manage the jackpot and those who think that they can do just fine on their own can afford not to seek professional counseling. Despite the few incidents, over all those who work with an investment bank reap the benefits of this partnership.